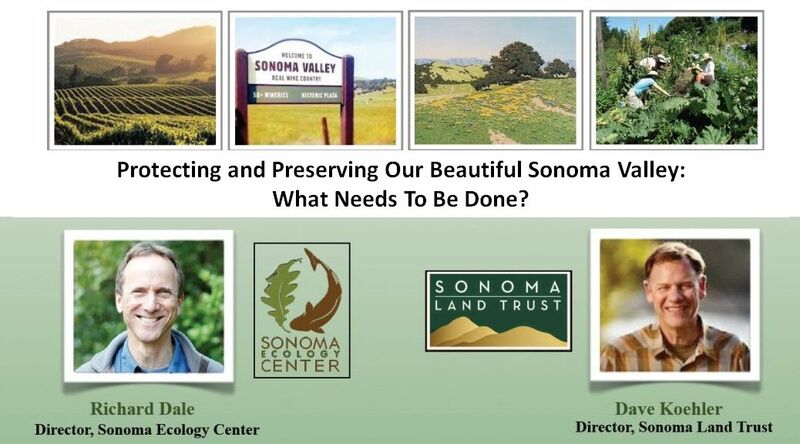 Protecting and Preserving Our Beautiful Sonoma Valley: What Needs To Be Done? As population, housing, and commercial development have increased, there has been consequent challenge to the Sonoma Valley. Bio-diversity in agriculture has been sacrificed and now California’s sustained drought has placed further stress upon the environment of this special valley. You are invited to bring your questions and opinions to this evening of dialogue with two thoughtful leaders whose organizations are working to respond to such environmental issues as water supply and quality, protection and purchase of open space, access to public lands, biodiversity, the challenges to the wildlife corridor in the Valley, energy source and use, and climate change. These issues affect your quality of life and that of your children and grandchildren. What should we do to sustain this valley for the future? How can we ensure the preservation and restoration of waterways, natural habitats for animals and the protection of our natural heritage and public lands? How can we preserve open space? And how can you best join these efforts? 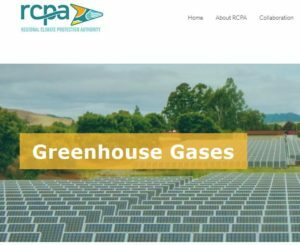 Interested in getting involved in local climate action? 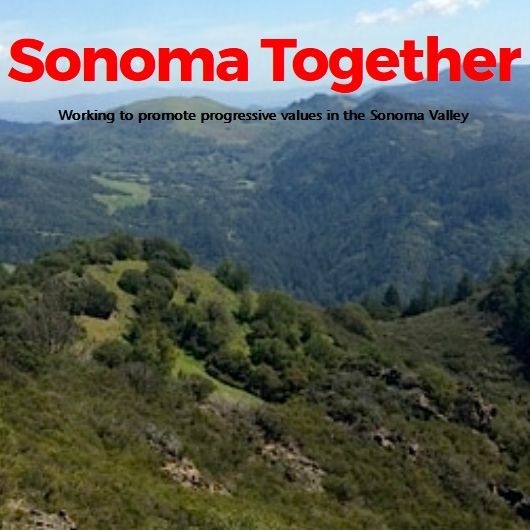 Join the monthly meeting of the Sonoma Valley Cliamte Coalition. Was Your Vote Counted Last Election? Transition Sonoma Valley on Plant Native Milkweeds to Help Monarchs! Prof. Robert Parkin on Faith and Science – Who Believes?